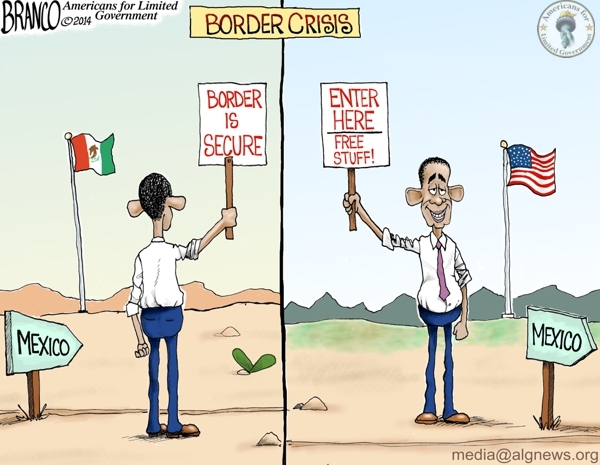 “Congress will not act, so I will,” warned President Obama over the past few weeks as he projected the possibility of acting unilaterally on the issue of illegal immigration. And act, he did. In an announcement Thursday evening, the President granted amnesty to millions of those who have entered the country illegally. 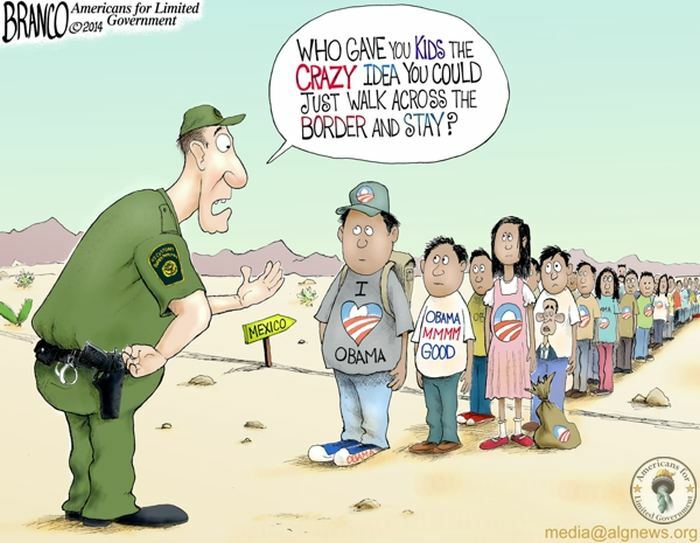 Those granted amnesty, are those who have been in the country for at least five years, have children who are citizens or legal residents, who pass a criminal background check, and are willing to pay taxes and register with the government. The impact could include as many as 6 million people. The elements of his plan have merit, but to be legal, the proposal must be enacted legislatively, which he could have done easily when his party controlled both chambers of congress during his first term. 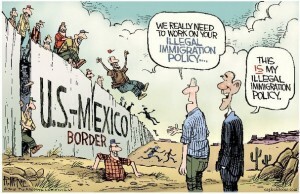 What he proposes to do is to rewrite U.S. immigration law without the Constitutional or statutory authority to do so. Then, in reference to his 2012 Executive Order where elements of the stalled Senate Dream Act were implemented, he said, “What we have tried to do is administratively reduce the burdens and hardships on families being separated. And what we’ve done is, obviously, pass the deferred action which made sure that the DREAMers, young people who were brought here and think of themselves as Americans, are American except for their papers, that they’re not deported. In fact, there are at least 25 times the president has expressed those convictions, and are captured on video. His comments focus on three key areas: 1) we are a nation of laws; 2) as president, he hasn’t the authority to make law, for that’s the role of the legislative branch; and 3) he is not a king or an emperor, i.e. a despot. Clearly, from his speech on Thursday, those convictions have changed. He either feels he is above the law, can now make law, subordinating congress to irrelevancy, or he feels he is now king or emperor. The Executive Order (EO) does not grant the president the authority to do what he said he’d do this week. There are three things the EO can be used for: operational management of the executive branch, operational management of the federal agencies or officials, and implementing statutory or constitutional presidential responsibilities. 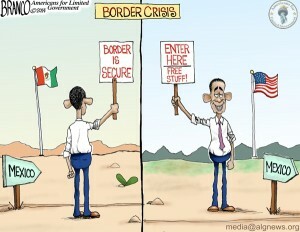 Executive Orders cannot be used to either create new law, or to annul or reverse existing law. After all, his primary function, according to the Constitution and his oath of office, is to “faithfully execute the office” in enforcement and execution of the laws legally passed by the legislative branch. Many have cited executive order precedence of prior presidents. Those situations were far different. President Ronald Reagan signed the Immigration Reform and Control Act in 1986, which granted limited amnesty to some qualified illegal immigrants. He subsequently issued an executive order that included minor children of those specifically covered under the Act. In 1990, President George Herbert Walker Bush issued an Executive Order related to that Act that broadened the scope to include spouses and children of those granted amnesty under the Simpson-Mazzoli Act. The EO was a logical inclusion not specifically delineated in the Act. Both Reagan’s and Bush’s Executive Orders were supported by the legislative intent of Simpson-Mazzoli, were legal declarations of how Simpson-Mazzoli would be implemented, and were supported by Congress. What the President did this week establishes a dangerous precedent and arguably creates a constitutional crisis over the separation of powers between the legislative and executive branches and the rule of law. As disturbing as it is to have a president so willfully and intentionally exceed his constitutional authority, is the fact that his party leadership is entirely supportive of his illegal actions. In a few years there will be a Republican president who may, using his “pen and his phone,” rescind the Affordable Care Act, or outlaw abortions altogether, or initiate tax cuts just by Executive Order. 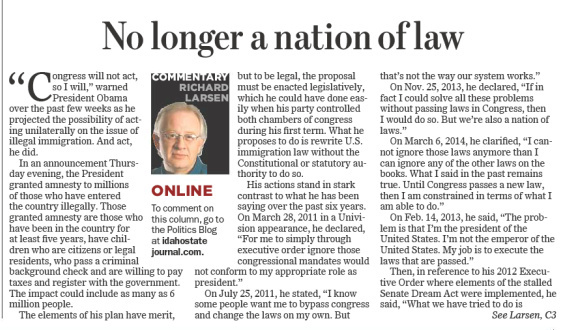 Those who have no problem with what the President did this week will have no legal leg to stand on in their denunciation of such future executive actions. 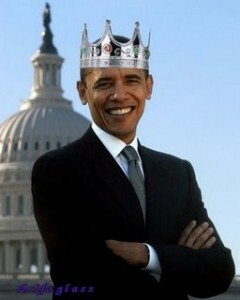 Regardless of which party he hails from, and regardless of the viability of his proposal, President Obama this week declared that we are no longer a nation of laws, and that he is our emperor.